Six thousand girl students across this border district are all set to receive self-defence training, the schedule for which was finalized during a meeting chaired by the Deputy Commissioner, Dr Shahid Iqbal.In the meeting of concerned officers, the DC finalised a meticulous action plan involving different stakeholders for imparting self defence training to the girl students in bid to engender empowerment among them.District Child Protection Officer Mohammad Rashid, CPO A H Choudhary, Chief Education Officer Lal Hussain, AD Planning Bilal Mir,all Zonal Education Officers and ICPS officials attended the meeting.The self defence training, aimed to equip girl students upto the age of 18 years with basic self-defence techniques in one of the martial art forms of Taekwondo and Judo, will be imparted to 6000 girls at 30 different venues, 2 in each Education Zone of the district during current financial year. 200 girl students studying in 9th-12th standard will be trained in self defence techniques at each venue by the trainers. Pertinently, Rs 13 lakh has been earmarked for self defence training under RMSA which includes transportation charges and refreshment for the participants.The DDC, while underlining the importance of the event, stressed upon all stakeholders to ensure that the training sessions are regularly monitored. 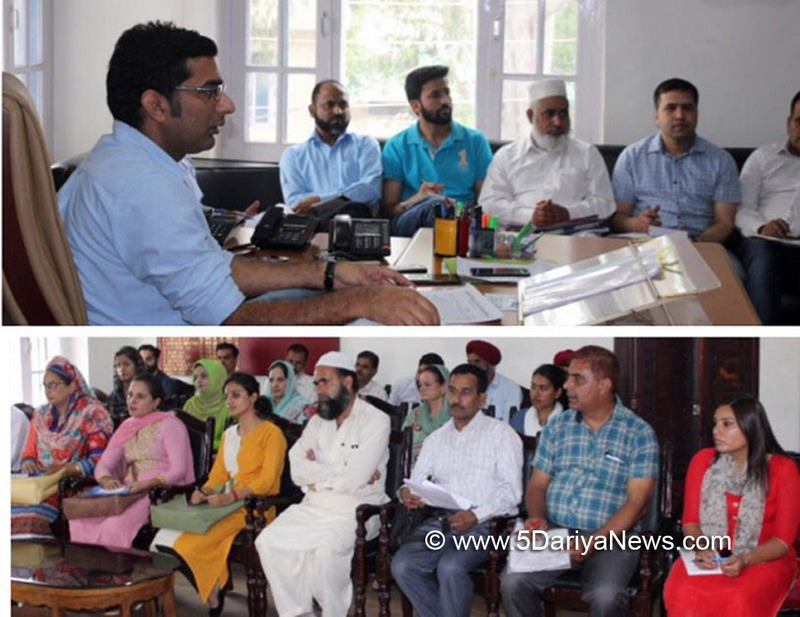 He said that apart from training, girl students should be made aware about various types of crimes against them and legal entitlements.It was also decided that a yearly calendar shall be issued for conducting public outreach programmes by One Stop Centre for Women, to extend assistance to women and girls affected by harassment and violence at home or at work places.The DDC also reviewed the SSA plan and directed the concerned to prioritise the educational institutions for which infrastructure is required and also adopt a rationale based criteria for taking up schools under the scheme.